NORTH BAY — Troy Hurtubise, the North Bay inventor behind the famous bear proof suit featured in “Project Grizzly,” has announced a new invention. The HurtuHouse, Troy explains, starts out as a simple trailer, but it is then covered in both Hurtubise’s Vulkanite-H compound and his patented fire paste. This makes the ice shack fire proof, water proof, ice proof, acid proof, and UV resistant. Additionally, Hurtubise says he’s installed both of his top-secret, experimental “Angel Light” and “God Light” into the each shack, so that ice fishers can go beyond the usual ice shack experience. But most important for Hurtubise is the shack’s defensive capabilities. 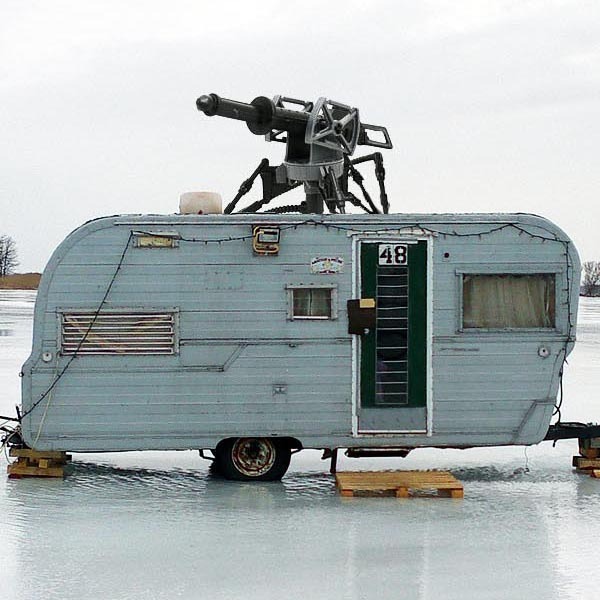 What’s more, for an additional investment, Hurtubise has offered to install his newest invention, the S-Laser, into the ice shack. 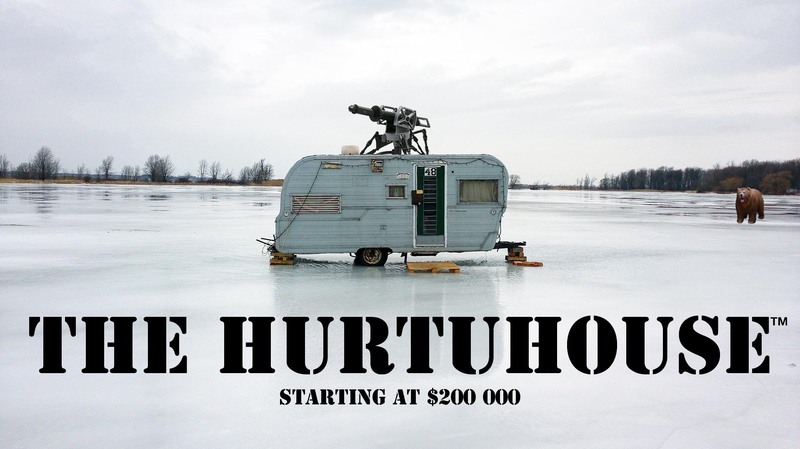 The shacks start at $200 000, and Hurtubise says he’s taking orders now.